Co-Optimus - Editorial - On The Download Issue 3: S.A.D. To G.L.A.D. 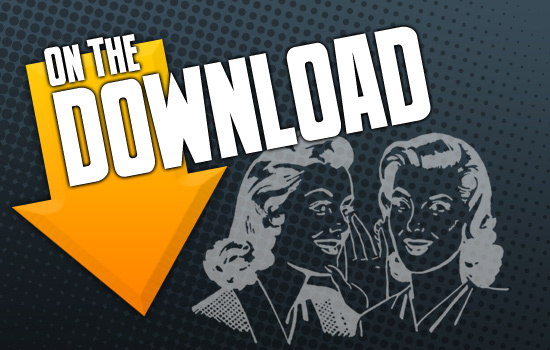 On The Download Issue 3: S.A.D. To G.L.A.D. Do you find yourself wanting to repurchase games that you already own? Do you notice an imbalance in your bank account or credit card statements in increments of $2-$5? Are you addicted to Steam, PSN or Xbox LIVE Arcade games. Do you find yourself with far more games than you could possibly have time to play? If you've answered "yes" to any of these questions, you likely have a severe case of S.A.D. * If you are interested in joining in our G.L.A.D. study, you may eligible to participate in our cooperative recovery program. What is S.A.D. (Sale Addicted Downloading)? Well, if you've recently visited Steam or follow Major Nelson's blog, you've likely noticed a lot of tempting sales. These sales can strike at any time, affecting unsuspecting gamers when the least expect it. We've all tried it and thought: "It's only $2, I can handle it." But before they know it, they're speaking in strange tongues, or compulsively making ball jokes. We at Co-optimus have been extensively studying the effects of S.A.D. and think we have made the most effective breakthrough for battling the debilitating disease. Just follow these simple steps, and you may just make it to G.L.A.D. 1. Find a support group. Co-optimus.com is a great place to locate other needing individuals. 2. Set up times to play specific titles to play on specified nights. Co-optimus helps with this by having Co-op nights on both Games for Windows and Xbox LIVE. Gaming with others will help combat the urge to switch between games before you get a real rush from the experience. 3. Play co-op, and discuss your experiences extensively. Don't be afraid to open up about your experiences. Remember: we've all been in your shoes, we understand. Once you are comfortable with playing your games extensively, and stretching that $2 experience to something much deeper spiritually you have achieved G.L.A.D. (Gamers Love Affordable Downloads). After you've grown to embrace your affordable downloads without going over the edge, you can once again open steam or read Co-optimus deals without fear. We're here to help you. *S.A.D. probably won't actually make gamers sad. At all. Go enjoy your sales, and tell us about them so we can play with you! I may or may not play Assault Heroes saying "Vroom" while I do. Don't judge me. If you watched the Superbowl, you know that The Who had a great performance during the halftime show. This week, the Rock Band Store is featuring that very performance via DLC for Rock Band. Now everyone can be Pete Townshend rocking it in the center of a giant stadium - right from your own livingroom. Left 4 Dead 2 received a pretty hefty PC patch to fix some known glitches, fix up some textures and make the game all around cleaner. This patch will even make your AI counterparts smarter and more responsive. Beware. You may want to play 4 player co-op from now on. Dynasty Warriors Strikeforce has unleashed a deadly co-op demo, and we think you should play it. The demo is unfortunately confusing to get a co-op game started, so here's what you do: Start a game on your own, choose a character, and select "Create a city" from the in-game menu. After the city has been created, then you invite your buddies in to play. The demo will have you hacking, slashing, and performing some pretty sweet stunts through a countryside teeming with Chinese Warriors along side a buddy (or so. I only had a 2 player game going, but let me know if you can get more.) Online co-op only. Say you still want to play co-op, but either Dynasty Warriors isn't your thing, or you just need a nice local date night. The original Assault Heroes (now out on PSN) can help you out. 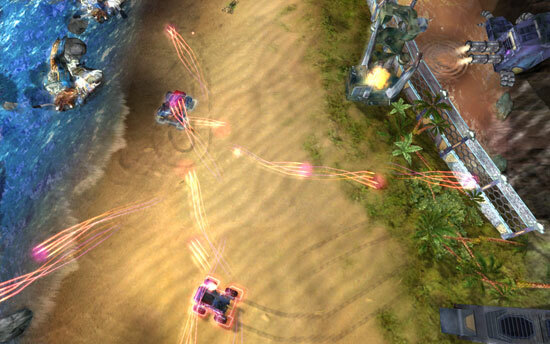 Addictive fun, shared screen, almost micro-machine-style action is bound to keep things interesting. Page created in 0.6623 seconds.